Hironobu Sakaguchi(坂口 博信,Sakaguchi Hironobu) (born November 25, 1962) is a Japanese video game designer, director, producer, writer, and film director. He is best known as creator of the Final Fantasy series, which he conceived the original concept for the first title Final Fantasy and also directed several later entries in the franchise, and has had a long career in gaming with over 100 million units of video games sold worldwide. He left Square Enix and founded a studio called Mistwalker in 2004. A technical director (TD) is usually a senior technical person within e.g. a software company, engineering firm, film studio, theatrical company or television studio. This person usually possesses the highest level of skill within a specific technical field. Final Fantasy is a Japanese science fantasy media franchise created by Hironobu Sakaguchi, and developed and owned by Square Enix. The franchise centers on a series of fantasy and science fantasy role-playing video games (RPGs/JRPGs). The first game in the series was released in 1987, with 14 other main-numbered entries being released since then. The franchise has since branched into other video game genres such as tactical role-playing, action role-playing, massively multiplayer online role-playing, racing, third-person shooter, fighting, and rhythm, as well as branching into other media, including CGI films, anime, manga, and novels. Hitachi is a city located in Ibaraki Prefecture, Japan. As of September 2015, the city had an estimated population of 183,148 and a population density of 811 persons per km2. Its total area is 225.71 km2. Hitachi is well known in the world for its brand name of electric products, including power plants and appliances, of the Hitachi company founded in the town in 1910 by Namihei Odaira with considerable properties as its factories in the city. Yokohama National University, or Yokokoku (横国) is a leading national university located in Yokohama, Kanagawa Prefecture, Japan. Yokohama National University comprises five graduate schools and four undergraduate faculties. Yokohama National University is one of leading national universities in Japan. It is consistently one of the highest ranking national universities in Japan that is not one of Japan's National Seven Universities. It is also a core member of the Port-City University League. Counterfeit consumer goods are goods, often of inferior quality, made or sold under another's brand name without the brand owner's authorization. Sellers of such goods may infringe on either the trademark, patent or copyright of the brand owner by passing off its goods as made by the brand owner. Counterfeit products made up 5 to 7% of world trade in 2013, and in 2014 cost an estimated 2.5 million jobs worldwide, with up to 750,000 jobs lost in the U.S. About 5% of goods imported into the European Union in 2013 were fakes, according to the OECD. Less developed countries such as India have also been inundated with counterfeit products. Akihabara is a common name for the area around Akihabara Station in the Chiyoda ward of Tokyo, Japan. Administratively, the area called Akihabara mainly belongs to the Sotokanda (外神田) and Kanda-Sakumachō districts in Chiyoda. There exists an administrative district called Akihabara in the Taitō ward further north of Akihabara Station, but it is not the place people generally refer to as Akihabara. 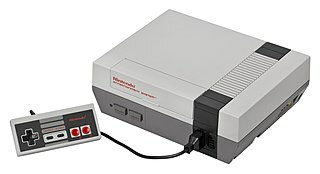 The Nintendo Entertainment System is an 8-bit home video game console developed and manufactured by Nintendo. It is a remodeled export version of the company's Family Computer (FC) platform in Japan, also known as the Famicom for short, which launched on July 15, 1983. The NES was launched through test markets in New York City and Los Angeles in 1985, before being given a wide release in the rest of North America and parts of Europe in 1986, followed by Australia and other European countries in 1987. Brazil saw only unlicensed clones until the official local release in 1993. In South Korea, it was packaged as the Hyundai Comboy and distributed by SK Hynix which then was known as Hyundai Electronics; the Comboy was released in 1989. Final Fantasy is a fantasy role-playing video game developed and published by Square in 1987. It is the first game in Square's Final Fantasy series, created by Hironobu Sakaguchi. Originally released for the NES, Final Fantasy was remade for several video game consoles and is frequently packaged with Final Fantasy II in video game collections. The story follows four youths called the Light Warriors, who each carry one of their world's four elemental orbs which have been darkened by the four Elemental Fiends. Together, they quest to defeat these evil forces, restore light to the orbs, and save their world. Final Fantasy: The Spirits Within is a 2001 American computer-animated science fiction film directed by Hironobu Sakaguchi, creator of the Final Fantasy series of role-playing video games. It was the first photorealistic computer-animated feature film and was the most expensive video game-inspired film until the release of Prince of Persia in 2010. It features the voices of Ming-Na Wen, Alec Baldwin, Donald Sutherland, James Woods, Ving Rhames, Peri Gilpin and Steve Buscemi. Sakaguchi voluntarily stepped down from his post as an executive vice president at Square. This event also reduced Square's financial capital. Square later merged with its rival, the Enix Corporation, which led to the creation of Square Enix in 2003. In 2004, Sakaguchi founded Mistwalker with the financial backing of Microsoft Game Studios. Enix Corporation was a Japanese video game publisher that produced video games, anime and manga. Enix is known for publishing the Dragon Quest series of role-playing video games. Mistwalker Corporation is a Japanese video game development studio founded by Hironobu Sakaguchi in 2004, with the financial backing of Microsoft. The logo and name were trademarked in 2001. Based in Tokyo, Mistwalker is a co-developer similar to Red Entertainment and Armor Project, outsourcing development duties to other companies, preferring to focus primarily on the story and music portions of game development, as well as generally overseeing the process. Nobuo Uematsu, known for his work in the Final Fantasy series, has written music for various games developed by Mistwalker. Chrono Trigger is a role-playing video game developed and published by Square for the Super Nintendo Entertainment System in 1995 that began the Chrono series. Chrono Trigger's development team included three designers that Square dubbed the "Dream Team": Hironobu Sakaguchi, the creator of Square's successful Final Fantasy series; Yuji Horii, a freelance designer and creator of Enix's popular Dragon Quest series; and Akira Toriyama, a manga artist famed for his work with Dragon Quest and Dragon Ball. In addition, Kazuhiko Aoki produced the game, Masato Kato wrote most of the story, while composer Yasunori Mitsuda wrote most of the soundtrack before falling ill and deferring the remaining tracks to Final Fantasy series-composer Nobuo Uematsu. The game's story follows a group of adventurers who travel through time to prevent a global catastrophe. Square Co., Ltd. was a Japanese video game company founded in September 1986 by Masafumi Miyamoto. It merged with Enix in 2003 to form Square Enix. The company also used SquareSoft as a brand name to refer to their games, and the term is occasionally used to refer to the company itself. In addition, "Square Soft, Inc" was the name of the company's American arm before the merger, after which it was renamed to "Square Enix, Inc". Final Fantasy II is a fantasy role-playing video game developed and published by Square in 1988 for the Family Computer as the second installment of the Final Fantasy series. The game has received numerous enhanced remakes for the WonderSwan Color, the PlayStation, the Game Boy Advance, the PlayStation Portable, and multiple mobile and smartphone types. As neither this game nor Final Fantasy III were initially released outside Japan, Final Fantasy IV was originally released in North America as Final Fantasy II, so as not to confuse players. The most recent releases of the game are enhanced versions for the iOS and Android, which were released worldwide in 2010 and 2012, respectively. Final Fantasy IV, known as Final Fantasy II for its initial North American release, is a role-playing video game developed and published by Square for the Super Nintendo Entertainment System. Released in 1991, it is the fourth main installment of the Final Fantasy series. The game's story follows Cecil, a dark knight, as he tries to prevent the sorcerer Golbez from seizing powerful crystals and destroying the world. He is joined on this quest by a frequently changing group of allies. Final Fantasy IV introduced innovations that became staples of the Final Fantasy series and role-playing games in general. Its "Active Time Battle" system was used in five subsequent Final Fantasy games, and unlike prior games in the series, IV gave each character their own unchangeable character class. Final Fantasy VI, also known as Final Fantasy III from its marketing for initial North American release in 1994, is a role-playing video game developed and published by Japanese company Square for the Super Nintendo Entertainment System. Final Fantasy VI, being the sixth game in the series proper, was the first to be directed by someone other than producer and series creator Hironobu Sakaguchi; the role was filled instead by Yoshinori Kitase and Hiroyuki Ito. 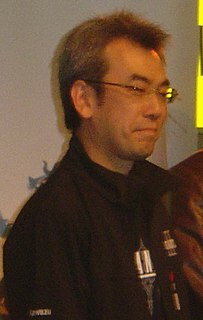 Yoshitaka Amano, long-time collaborator to the Final Fantasy series, returned as the character designer and contributed widely to visual concept design, while series-regular, composer Nobuo Uematsu, wrote the game's score, which has been released on several soundtrack albums. Set in a fantasy world with a technology level equivalent to that of the Second Industrial Revolution, the game's story follows an expanding cast that includes fourteen permanent playable characters. The drama includes and extends past depicting a rebellion against an evil military dictatorship, pursuit of a magical arms-race, use of chemical weapons in warfare, depiction of violent, apocalyptic confrontations with Divinities, several personal redemption arcs, teenage pregnancy, and the continuous renewal of hope and life itself. Square Enix Holdings Co., Ltd. is a Japanese video game developer, publisher, and distribution company known for its Final Fantasy, Dragon Quest, and Kingdom Hearts role-playing video game franchises, among numerous others. Several of them have sold over 10 million copies worldwide, with the Final Fantasy franchise alone selling over 115 million. The Square Enix headquarters are in the Shinjuku Eastside Square Building in Shinjuku, Tokyo. The company employs over 4300 employees worldwide. Yasumi Matsuno is a Japanese video game designer. Formally an employee at Quest Corporation and Square, Matsuno is best known for his work in the tactical role-playing game genre, specifically the Ogre Battle and Final Fantasy Tactics series, in addition to Vagrant Story and Final Fantasy XII. Chrono Break is a cancelled third mainline entry in the Chrono series of video games by Square. While never officially announced by the company, commentary from Chrono series developers Masato Kato, Hironobu Sakaguchi, and Takashi Tokita have confirmed early plans for the game, alongside a number of trademarks filed in the game's name. However, the game would ultimately go unproduced, with many members of the internal development team either moving on to Final Fantasy XI or leaving the company in favor of freelance work. The game elicited much commentary from the company and the video game press in the following years, though as of 2019, all trademarks had expired, with no announced plans to work on the game. Akitoshi Kawazu is a Japanese game producer and game designer. He is best known for his work on Final Fantasy and SaGa franchise of role-playing video games. He was the majority shareholder for The Game Designers Studio, a shell corporation founded in June 1999 by Square and re-purposed in 2002 to exploit a loophole with the company's exclusivity deal to develop for Sony Computer Entertainment's PlayStation consoles. The Chrono series is a video game franchise developed and published by Square, and is currently owned by Square Enix. The series began in 1995 with the time travel role-playing video game Chrono Trigger, which spawned two continuations, Radical Dreamers: Nusumenai Hōseki, and Chrono Cross. A promotional anime called Dimensional Adventure Numa Monjar and two ports of Chrono Trigger were also produced. 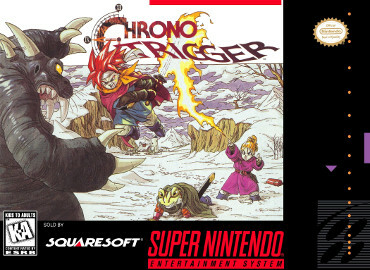 As of March 31, 2003, Chrono Trigger was Square Enix's 12th best-selling game, with 2.65 million units shipped. Chrono Cross was the 24th, with 1.5 million units. By March 2012, the two games sold over 5.4 million units combined. The games in the series have been called some of the greatest of all time, with most of the praise going towards Chrono Trigger. The series' original soundtracks, composed by Yasunori Mitsuda, have also been praised, with multiple soundtracks being released for them. Yoshinori Kitase is a Japanese game director and producer working for Square Enix. He is known as the director of Final Fantasy VI, Chrono Trigger, Final Fantasy VII, Final Fantasy VIII and Final Fantasy X, and the producer of the Final Fantasy X and Final Fantasy XIII series. Kitase is an Executive Officer at Square Enix, the Head of Square Enix's Business Division 1 and part of the Final Fantasy Committee that is tasked with keeping the franchise's releases and content consistent. Nasir Gebelli is an Iranian-American programmer and video game designer usually credited in his games as simply Nasir. Gebelli co-founded Sirius Software, created his own company Gebelli Software, and worked for Squaresoft. He became known in the early 1980s for producing the first fast action games for the Apple II computer, including 3D shooters, launching the Apple II as a gaming machine. This established him as one of the pioneers of computer gaming, and one of the greatest Apple II game designers. From the late 1980s to the early 1990s, he became known for his home console work at Squaresoft, where he was part of Square's A-Team, programming the first three Final Fantasy games, the Famicom 3D System titles 3-D WorldRunner and Rad Racer, and Secret of Mana. Hiromichi Tanaka is a Japanese video game developer, game producer, game director and game designer. He was Senior Vice President of Software Development at Square Enix and the head of the company's Product Development Division-3. He is best known as the former lead developer of Final Fantasy XI, Square's first massively multiplayer online role playing game (MMORPG). He oversaw ongoing development of that title and Final Fantasy XIV until late 2010. He also worked in a prominent role for earlier single-player games including Secret of Mana, Seiken Densetsu 3, Xenogears, Threads of Fate, Chrono Cross, and the Nintendo DS version of Final Fantasy III.. The Last Story is a Japanese action role-playing game, developed by Mistwalker and AQ Interactive for the Wii video game console. Nintendo published the title in all regions except for North America, where it was published by Xseed Games. Initially released in Japan in 2011, the game was released in western territories through 2012. The Last Story takes place upon the island fortress of Lazulis, in a world that is slowly being drained of life by an unknown force. The story focuses on a group of mercenaries looking for work on Lazulis; one of their number, Zael, dreams of becoming a knight. After receiving the mystical "Mark of the Outsider", Zael becomes involved with a noblewoman named Calista in an ongoing war between humans and the beast-like Gorak. During gameplay, the player controls Zael as he and the mercenary group to which he belongs undertake missions on Lazulis. Zael can command the rest of the mercenary squad during missions, and fights in battles that involve action, tactical and stealth elements. Multiple online multiplayer modes are also present. Cry On is a cancelled video game by Final Fantasy creator Hironobu Sakaguchi and his development team Mistwalker. Announced as an upcoming project in 2005 for the Xbox 360, the game's cancellation was later announced in 2008. In late 2014, Sakaguchi released a concept trailer of work done on the game. Tetsuya Nomura is a Japanese video game artist, designer and director working for Square Enix. He designed characters for the Final Fantasy series, debuting with Final Fantasy VI and continuing with various later installments. Additionally, Nomura has lead the development of the Kingdom Hearts series since its debut in 2002 and was also the director for the CGI film Final Fantasy VII: Advent Children. Final Fantasy is a media franchise created by Hironobu Sakaguchi, and developed and owned by Square Enix. The franchise centers on a series of fantasy and science fantasy role-playing video games (RPGs). The eponymous first game in the series, published in 1987, was conceived by Sakaguchi as his last-ditch effort in the game industry; the title was a success and spawned sequels. While most entries in the series are separate from each other, they have recurring elements carrying over between entries: these include plot themes and motifs, gameplay mechanics such as the Active Time Battle (ATB) system, and signature character designs from the likes of Yoshitaka Amano and Tetsuya Nomura. ↑ "D.I.C.E Special Awards" . Retrieved 22 January 2017. 1 2 3 Parkin, Simon (January 2018). ""Never-Ending Story: The Untold Legend of the World's Greatest RPG"". Edge. 314: 56–91. ↑ Fujii, Daiji (January 2006). "Entrepreneurial choices of strategic options in Japan's RPG development" (PDF). Faculty of Economics, Okayama University. Archived from the original (PDF) on October 8, 2006. Retrieved April 26, 2008. ↑ Szczepaniak, John. "Before They Were Famouos". Retro Gamer . Imagine Publishing (35): 76. 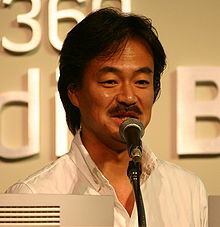 1 2 3 4 "Hironobu Sakaguchi/Chairman and CEO". Square USA. Archived from the original on May 11, 2000. 1 2 Gifford, Kevin (2011-12-21). "Hironobu Sakaguchi on Final Fantasy I's Roller-Coaster Development". 1UP.com. Archived from the original on March 28, 2016. Retrieved 2013-09-02. 1 2 Fear, Ed (2007-12-13). "Sakaguchi discusses the development of Final Fantasy". Develop. Intent Media. Archived from the original on 2011-08-05. Retrieved 2008-10-16. 1 2 "『FF』はどのように世界に広がっていったのか？　坂口博信氏と浜村弘一ファミ通グループ代表が"国際日本ゲーム研究カンファレンス"にて語る". Famitsu . 2015-05-24. Archived from the original on 2015-05-26. Retrieved 2015-05-29. ↑ Kohler, Chris (2009-07-23). "Why's It Called 'Final Fantasy'? Uematsu Explains". Wired . Retrieved 2013-09-02. ↑ "Interview with Hironobu Sakaguchi". IGN. April 5, 2000. Retrieved February 14, 2010. ↑ Duffy, James (August 2, 2006). "Movies that were Box-office Bombs". Boston.com. Retrieved January 2, 2010. ↑ "1UP.com". 1UP.com. December 25, 2008. Archived from the original on January 6, 2010. Retrieved July 20, 2010. ↑ "レゴ – mistwalker". Archived from the original on July 20, 2010. Retrieved July 20, 2010. ↑ Luke Plunkett (January 29, 2010). "Final Fantasy Creator Working On Wii Game". Kotaku. Retrieved January 29, 2010. ↑ Jarvis, Matthew (June 21, 2016). "Final Fantasy creator Hironobu Sakaguchi set to open new development studio". Develop . Retrieved July 12, 2016. ↑ "MobyGames.com". MobyGames.com. Retrieved July 20, 2010. ↑ "crunchyroll.com". crunchyroll. June 21, 2017. Retrieved June 23, 2017. ↑ "The Making Of... Final Fantasy VI". Edge . Future Publishing (251): 124–127. March 2013. ↑ V-Jump Festival 1994 (VHS tape). Japan: Shueisha. 1994. 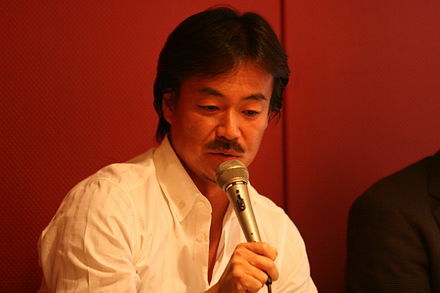 Wikimedia Commons has media related to Hironobu Sakaguchi .